Reconstruction of residential and non-residential premises regulated by the new Housing code of the Russian Federation and articles 25-29. Laws of constituent entities of the Russian Federation was repealed with the entry into force of the Housing code from 1.03.95. To obtain permission for the reconstruction, you will need to collect a number of documents, acts and approvals. It will take from 6 months to 2 years depending on the subject of the Russian Federation, which will be processed documents. - appeals in all these instances. If you are going to change the slab to carry load-bearing walls, plumbing, stationary gas or electric cooker, to reorganize the room, ventilation shafts, plumbing, Sewerage or heating, it shall issue the permit, as any of the following refers to the reconstruction of the premises. For illegal reconstruction will impose a huge administrative fines and will be forced to bring everything back to normal. To obtain permission, contact the BTI. Get a copy of the cadastral plan. Submit it to the Department of architecture and urban planning. Write a statement to call the architect to get to a professional project and a sketch of the future reconstruction. The project will be developed in accordance with all technical rules and sanitary norms with the requirements of the fire inspection and other departments. Imagine the documents to the Department of architecture and urban planning for approval and resolution to the chief architect of the district. If the technical documents are approved, refer them to the managing utility company. You will stamp and resolution. Next, contact the fire Department and SES. If in these instances will be all aligned, then you will need to visit the companies who supply energy, electricity, gas, water, heating, and submit technical documents for signature to the responsible persons. Contact the housing Commission, who work with local Department of Housing policy of the city or district. You make the act of carrying out the redevelopment. Sign it at the head of the district administration. Contact your insurance company. Pay for the insurance policy of civil liability insurance, as without having a policy not to start construction and installation work. Don't forget that all services are paid. Each resolution and print issued from two to three months, because everywhere the place, and turning for the first time, you will only receive a notification of what number is written to a particular official. Reconstruction is any change in the layout of the apartment, house or other structure, which are already in operation in accordance with applicable law. All renovations, whether relocating partitions, plumbing, slabs, fixed slabs, sewer, water, ventilation shafts or other actions, are regulated by articles 25-29 of the new Housing code, which entered into force in March 2005. To obtain permission to perform the above actions, collect documents and arrange them in the manner prescribed by law. First, contact the Bureau of technical inventory to obtain a copy of the cadastral plan and all the technical characteristics of housing. To the obtained documents, attach original documents and a photocopy of the title documents for housing, show your passport and write a statement for the reconstruction, which indicate all you are going to change and alter. Call a licensed architect to draft and sketch reconstruction. If you are going to change engineering networks and communications, then in addition, you will need a sketch and a draft replacement of the networks, you have to agree not only in architecture Department in local administration, but also with suppliers of these resources. For example, to replace gas pipes or transfer stationary gas stove approval place in regional gas service. When replacing the heating system in regional utility systems, to replace the grid coordinate it with the electricity supplier. Show all sketches, designs, coherent in all these bodies to the Department of architecture and urban planning. You will be given a decision of the chief architect of the city or district. Please see all documents in the regional fire protection service. Get resolution on documents senior officer for fire supervision of the city or district. Apply to SES. We will receive the decision of the chief sanitary doctor of the city or district. All documents coordinate with responsible representatives of the owner of the house. The final stage is your appeal to the Department of housing policy. Please submit all originals and copies of the collected documents. After reviewing your documents, you will be the decision with the signature of the head of the city or district. This is the resolution for reconstruction. Then you will only have to insure the risk, i.e. to issue civil liability for carrying out all works and begin reconstruction. Gathering documents you will spend from 2-3 months to 1-2 years, it depends on the rate that you will pay for obtaining all necessary documents from the region in which you reside. After reconstruction to legalize alterations you will be required to pass all the same way. Illegal reconstruction is any change in the layout of the house or apartment without the consent of regional authorities in the manner prescribed by law. 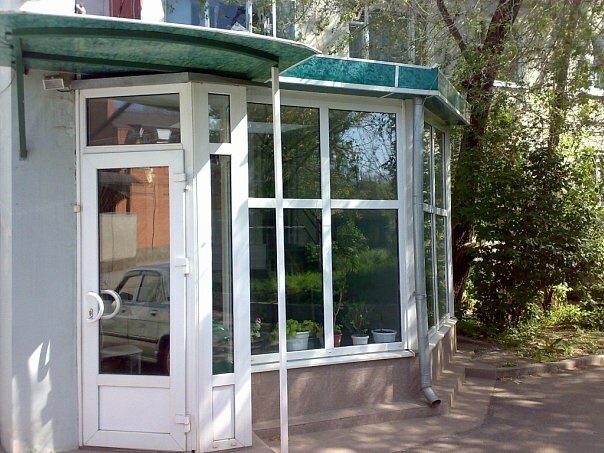 To legalize the reconstruction is possible under articles 25 to 29 of the Housing code of the Russian Federation. For this you will need to collect a package of documents and permits, make changes in the cadastral plan and passport, as well as all technical documentation of housing. 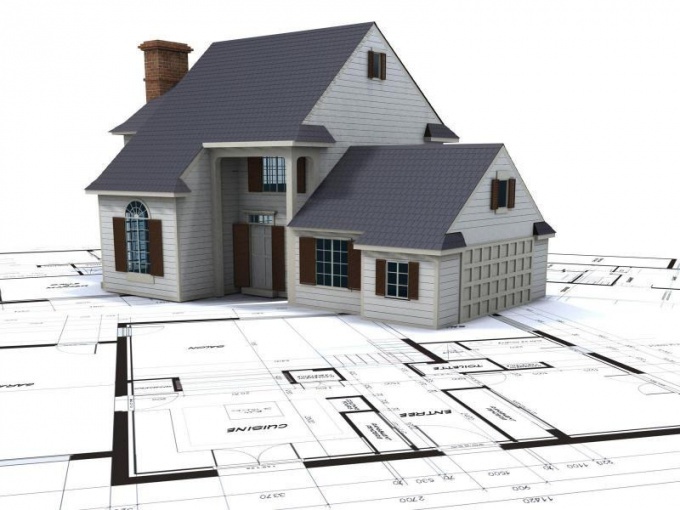 If you plan to document illegal reconstruction, will get the technical inventory Bureau a copy of the cadastral plan, a copy of cadastral passport and plan the layout of the room. Call a licensed architect to draft and sketch your changes. If you carried out the reconstruction of utilities, and the redevelopment is considered to be even the transfer of the plumbing a few inches, then the additional pay for the project and a sketch of the changes in the engineering structures. With the received documents, please contact the district Department of architecture and urban planning. Write the application, attach all documents received, present your passport, documents of title to housing. You will be given a matching act, which you are required to sign a local municipality, in the district office utilities, SES, fire brigade, power company, gas service. Each agreement takes time and is very expensive. So quickly to legalize the reconstruction you will not succeed. If some of these services will decide that reconstruction legalize it is impossible for the reason that it does not meet building, health or fire regulations, you may be forced to bring everything back to normal or you can try to legislate judicially. If everything you managed, again, contact the regional Department of architecture and urban planning. Get a final resolution of the chief architect of the district. Pay administrative fines issued for illegal and inconsistent changes. With the received documents, please contact the BTI. Call a technician to inspect the rooms. On the basis of the inspection you will be provided new technical documents that will make up a new cadastral plan and the cadastral passport. Get extracts from these documents, please contact the registration center to make changes in the unified register. To perform the reconstruction of non-residential premises, you must obtain permission in accordance with the rules of the current legislation, after which it execute and go to FPRC to make changes in the unified register. - documents for changes to the registry. Reconstruction is considered to be any modification of partitions, installation of new door openings, equipment separate entrance, reconstruction of Sewerage system, water supply, ventilation shafts. To obtain permission for the reconstruction, contact the Department of architecture and urban planning, a statement. If non-residential premises owned by the authority and transferred to you under a contract of employment, obtain permission for the reconstruction from the owner. Invite a licensed architect to draft and sketch. If you change only the number of doors, equip a separate entrance, you need only architectural project of reconstruction of the premises. For conversion communications will also need to execute the project and a sketch of the reconstruction of engineering structures. With the received documents, with the passport, the documents of title to non-residential premises refer again to the Department of architecture and urban planning. You will be given a pre-approval document. Sign it in all these bodies. Will require a signature public utilities, administration, fire brigade, SES. On the basis of the submitted documents and the certificate of approval you will receive a permit for reconstruction. Once you have carried out all installation and construction work, call the housing Commission of regional administration for drawing up of the act of receiving the converted premises. Next, invite technical staff from BTI to make changes in technical and cadastral passport for it. Get extracts from the updated documents. Invite an authorized representative of SES and fire protection. You will sign the acceptance act issued by the housing Commission. Agree in all organizations, which supply energy. Contact PPRC. Complete the application, submit the received cadastral extracts, act, passport, payment receipt for registration, documents of title to non-residential premises, copies of all documents. A single register will make information about the reconstruction of non-residential premises.